Thomson ReutersYahoo CEO Marissa Mayer at a Salesforce event at the Commonwealth Club in San Francisco. 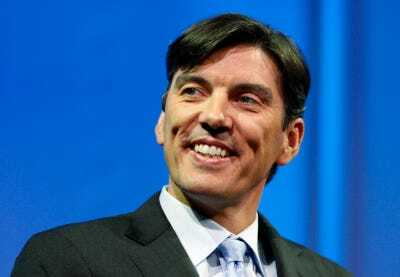 At least two top-10 Yahoo Inc. shareholders are so unhappy with chief executive Marissa Mayer’s turnaround efforts that they are making a direct plea to AOL Inc. CEO Tim Armstrong to explore a merger and run the combined company. Their move follows an activist campaign by the hedge fund Starboard Value LP, which is pushing Yahoo to consider a deal with AOL and unlock Yahoo’s valuable stakes in Asian Web companies. Armstrong has been receptive to these Yahoo shareholders and acknowledged the potential benefits of a deal, the Yahoo investors said. But he has downplayed the possibility of a transaction, according to the investors and two sources close to AOL. There are no talks between the two companies, and Armstrong has indicated he would consider only a friendly deal, the investors said. AOL and Yahoo declined to comment. The total holdings of the Yahoo shareholders who had made overtures to Armstrong could not be determined. Two top-10 AOL investors said they also met with Armstrong in recent weeks to discuss the possibility of a deal with Yahoo. These shareholders were left with the impression that a combined company could yield as much as $US1.5 billion in cost savings. Starboard, which did not speak to Reuters, wants Yahoo to spin off its web and email business, merging them into AOL, one Yahoo investor who has spoken with the activist said. That would leave Yahoo’s holdings in the Chinese e-commerce giant Alibaba Group Holding Ltd. and Yahoo Japan Corp. in a separate company, satisfying investors who want the company to monetise those assets. Starboard was once active in AOL and lost a 2012 battle to unseat three board directors. Yahoo’s market value is about $US47 billion, while its Alibaba stake alone is worth $US44 billion, meaning the current Yahoo share price reflects little value to the core business. Some of the investors see the email, website, and other operations worth as much as $US7 billion. Armstrong, a former Google executive who has been at the helm at AOL since 2009, is credited with reviving a dying brand, helped by a set of purchases including Adap.TV, an automated video advertising platform. AOL’s market cap of $US3.5 billion has roughly doubled in value during his tenure. 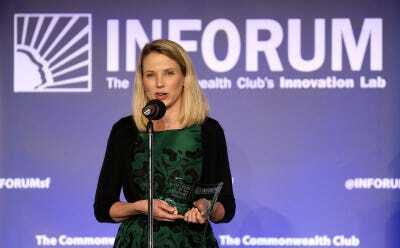 Yahoo stock has tripled since Mayer joined Yahoo as CEO in July 2012, but analysts say those gains have been primarily driven by the rapid appreciation in the value of the company’s Asian assets. Mayer has urged investors to be patient for what she has said will be a multiyear effort to revitalize the company. Some of the investors seeking a merger want Mayer to pull back from acquisitions, although on Tuesday the company announced a $US640 million deal to buy the video advertising platform BrightRoll — a competitor to Adap.TV. The investors in favour of a deal said they believed a combined Yahoo and AOL would make a stronger competitor to Google and Facebook Inc. when it comes to video programming and automated ways of buying digital advertising. But analysts have pointed to risks and raised questions about whether the combination will yield strong growth.